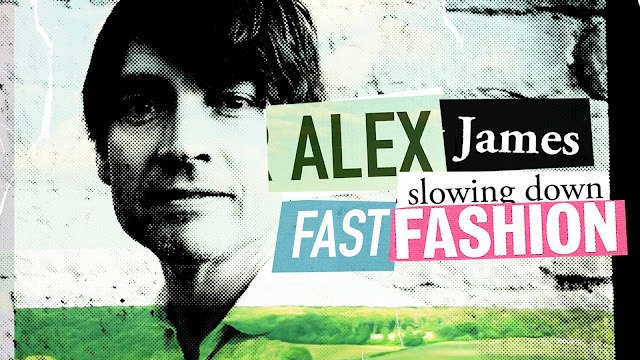 Blur bassist and cheese farmer, Alex James is trying his hand at something new...he's taking a closer look at the fashion industry and how the demand, and popularity of cheap clothing from the likes of Primark and Forever 21, is now having a huge effect on the environment and the workers. The documentary shows there is a "every-growing thirst for change" and that designers, activists and high street brands want something to happen. Instead of constantly wanting the latest 'must have garment' and the designer knock-off that everyone seems to be wearing then a few months down the line never seeing the light of day again. Why not invest? Invest into that statement piece you know will always be on trend and will never let you down. Or keep your clothing! Don't think that just because it's no longer on trend that you can't wear it again. Fashion goes through a full cycle where everything always comes back on trend. The styles popular now are the ones that were popular back when you're parent's were your age. The documentary is now available on Amazon Prime.